“We are now in the aftermath phase of the listeria outbreak and I think it is high time for an objective assessment of the bigger picture after the horrors of 2018,” asserts well-known SA food scientist, Nigel Sunley. The ‘Big 3’ challenges of food these days are safety, nutrition and sustainability and we need to look at how the events of 2018 have influenced their prioritisation in South Africa in particular, he writes. I am not going to touch on the sustainability issue here as it is very much a longer term and multidisciplinary matter irrespective of its very considerable importance. However I would like to take a step back to a presentation I gave at the SAAFoST Congress in Durban in 2015 where I raised the issue of resource allocation between food safety and nutrition-related initiatives in both academic and commercial food environments. At the risk of sounding sanctimonious, I have to say that the issues I raised then are still very much with us and if anything are more concerning now than they were then. Let me be clear that I would not for one minute wish to play down the events of the last year. The deaths of over 200 people from listeriosis, the severe damage to the health of many others and the seemingly conclusive evidence that this originated from a specific food source is a tragic and non-condonable occurrence and matters must take their course in terms of the legal and financial implications for the victims, their families and others affected by the tragedy and, of course, for Tiger Brands. But – and it is a big but – the fact of the matter is that no other company has been found to be responsible for the listeriosis outbreak, although a number of them have suffered significant and undeserved financial losses and reputational damage. That is not to say that other cases of listeria and other food-borne pathogens have not occurred in the past without their sources being traced and it is safe to assume that there will be other cases in the future, although the events of last year will hopefully ensure there is no recurrence of anything on the dreadful scale that we observed. What distresses me, however, is the number of pronouncements from people in the food safety area along the lines of how South Africa now has a food safety crisis and that we need to pour yet more expensive resources into yet more safety systems. I have no hesitation about stepping into what I know to be a minefield here and stating that in my opinion this is an over-reaction. How can a single outbreak of food-borne illness, no matter how serious but very importantly originating from a single company, be extrapolated in this manner? Quite clearly the company responsible for the outbreak has a serious problem to resolve and needs to put major resources into doing so but what about everyone else who was NOT responsible? I would suggest that their safety systems are working and while these need to be well maintained and occasionally updated, surely we have a classic case of ‘if it ain’t broke don’t fix it’ here. I am concerned that on the basis of the listeria outbreak the industry is now being bombarded with calls for yet more food safety requirements, which come at a not inconsiderable price, and that the food safety industry, which has, in my opinion, in many respects turned into something of a paper-pushing circus, has understandably but regretfully seen the listeria crisis as a major money–making opportunity. I have no problem with that in principle – we mercifully have a free-market system and it is up to the individual companies to decide how they spend their money, nor would I want to suggest that food safety is unimportant. However, my message would be to treat with considerable caution the current hype demanding yet more food safety resources for industry as a whole, as we are arguably already well into the territory of the law of diminishing returns in terms of the cost/benefit calculations involved and who can deny that those costs will not be ultimately passed on to the consumer via higher food prices? In my SAAFoST Congress presentation in 2015, I postulated that diet-related NCDs had caused over 1,000 times more deaths than food poisoning in 2013 in the USA. I willingly acknowledge that my theories were based on some significant assumptions derived from mortality figures from the Centre for Disease Control but, even if those assumptions were seriously inaccurate (although I stand by them! ), a 1,000X factor cannot be ignored. The bottom line, to put it bluntly is that, listeria or no listeria, we are continuing to kill and cause serious illness in far more people through non-communicable diseases resulting at least partially from poor dietary practices than we ever have or probably ever will through unsafe food. Why then is there this in-balance of both awareness and resource allocation between food safety and nutrition-related issues in the food industry? I think there are a number of reasons for this. Firstly, it must be acknowledged that the causes of NCDs are multi-factorial and that dietary practices are only one of these factors. It is simply impossible to unequivocally attribute a particular death or medical condition solely to the eating habits of the individual concerned and equally impossible to quantify what ‘proportion’ of the death or medical condition concerned can be attributed to individual causative factors such as smoking, alcohol consumption, exercise, lifestyle, genetic disposition and, of course, diet. This is in sharp contrast to food safety-related matters where, as we saw last year, it is perfectly possible to identify a specific lapse in food safety as the sole or major cause of illness or death. There is little we can do about this and it immediately places nutrition-related matters on the back foot irrespective of the comparative numbers of cases of illness or death. Secondly, this fundamental cause-and–effect factor thus provides a fairly convenient cop-out for the food industry who can quite easily resort to platitudes and PR driven window-dressing of nutritional issues, safe in the knowledge that they cannot be held directly responsible for either individual or collective cases of diet-related NCDs. It is possible, however, that one day a legal test case will take place where an individual food company is sued for causing the NCD-related death or illness of an individual due to consumption of their products – there are plenty of precedents for this in the tobacco field and a dietary-related case of this sort that finds the company concerned to be liable could open up a whole can of worms in this area. Thirdly, food safety is an issue which is handled internally within food companies and which, other than the direct costs incurred, has little effect on commercial activities. 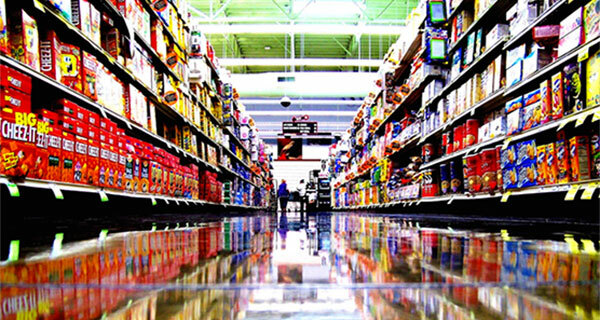 Nutritionally-driven improvements such as reformulation, portion size adjustment and re-allocation of marketing resources to products with improved nutritional quality, however, can directly impact on product acceptance and will thus potentially impact the bottom line, hence the reluctance to take bold steps in these areas. In the meantime, the industry trundles along, suavely assuring us that they are doing all they can to improve nutritional quality but do we actually see much evidence of this? I sharply criticised the South African food industry in another SAAFoST presentation I gave, this time at the 2017 Congress, for an atrocious lack of response to a questionnaire sent out with assistance from the Consumer Goods Council of South Africa requesting details of their proposed activities under the CGCSA Healthy Food Options initiative. It does not seem to me that things have improved significantly since then, although there have been some fairly minor initiatives in the fast food industry and talk of a major CEOs + Department of Health summit in 2019 to kick start things. What we have, however, seen is an entirely knee-jerk driven reaction to replace sugar with non-nutritive sweeteners in soft drinks. This is commendable but why wait until you are hit with legislation before doing anything? The danger for industry is that this attitude of sitting tight and adopting a reactive rather than pro-active approach to nutritional issues plays straight into the hands of the loonier members of the public health nutrition community – those who would like nothing better than to dump a vast package of completely ineffectual but feel-good-inducing legislation on the industry. The salt reduction and sugar sweetened beverage regulations introduced in the last few years are undoubtedly just the thin end of the wedge, and the fact that government appears to have no resources available to assess if these will actually have an effect on public health will not hold back the regulation-will-solve-everything fanatics. I suspect we will see proposals in such areas as taxing sugar overall, tobacco-style warning notices on labelling (which is already happening in Chile) and prescribing supermarket layouts to supposedly reduce the propensity to purchase of products with poor nutritional profiles. Never mind that future proposals of this sort are likely to either sink under the weight of their own impracticality or have no discernible effect on public health when implemented – the industry is likely to have to devote considerable resources to dealing with them. So why the current obsession with yet more food safety-related initiatives when our food, at least that produced by industry, is generally perfectly safe? The news that Tiger Brands has conveniently donated R10m towards a Centre for Food Safety at Stellenbosch University must be greeted with a mixture of praise and cynicism. 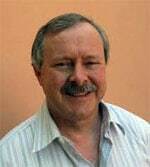 Praise because the excellent Pieter Gouws and his highly capable team at Maties will undoubtedly put the funding to good use and it cannot but help benefit South African food science and technology. Cynicism because it is so blatantly a reactive rather than pro-active measure. I challenge Tiger Brands or any other South African food company to also put R10m into pro-actively improving the nutritional quality of their products (and actually telling us about it instead of hiding under the usual cloak of commercial secrecy!) or setting up a similar academic centre with a nutritional focus. So in my opinion, we have an in-balance of awareness and resources that is probably worse than it was when I first raised the issue in 2015. Is there thus an element of sour grapes in my comments? Probably a little, but the industry needs to re-think its priorities. It gives me a certain grim satisfaction to quote a couple of my points from my 2015 presentation. Have the events of 2018 not amply vindicated those perspectives? Add to that the potential impact of radical and commercially-damaging legislation which is likely to materialise unless it is pre-empted by pro-active and meaningful initiatives in the nutrition area and the industry has much to think about in 2019. Authored by Nigel Sunley of Sunley Consulting, a technical and regulatory consultant to the food industry. The views expressed are his own.